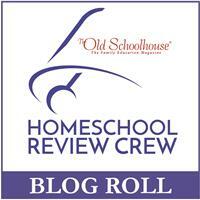 Our homeschool is very eclectic - meaning we use bits and pieces from various methods in our course of study. We lean heavily towards Classical, Charlotte Mason, and Unit Studies to keep things interesting. One aspect of Classical education I really love is the instruction of Latin as a foundation to strengthen the student's vocabulary, grammar, and critical thinking skills. When we received the complete set of Latina Christiana from Memoria Press, both I and my son were ecstatic!